Complete the sentences with the given words. Key included. Hope it´s useful. Thanks for the ESL template. Enjoy exploring South Africa. Hope it´s useful. 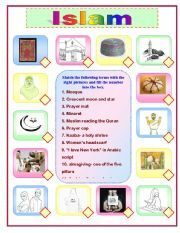 Pupils have to match the picture with the right terms and they will learn what the islam is like. Thanks for the ESL template. 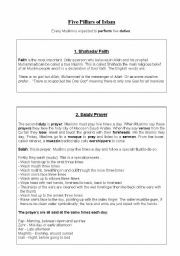 I prepared a five- corners task where the pupils have to walk round the class to read the texts about the five pillars of islam and complete their worksheets.You find them at the end of this ws. 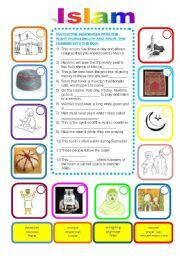 I also upload a drawing of a mosque so that you can write in the pillars into the columns. 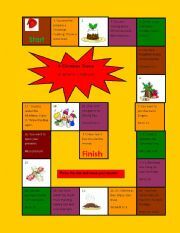 Enjoy this Christmas boardgame. Have fun. Thank you for the ESL template. I use an eyewitness report about a volcanic eruption to find out what happens before,while and after the eruption. The second task is to talk out about positive and negative effects of volcanoes. Hope it´s useful. Thanks for the ESL template. 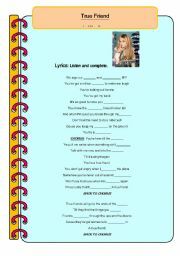 Listen to the song and complete the lyrics (key included)when you want to discuss what a true friend should be like. You will find the song on You Tube.Enjoy. Match the pictures with the right description. 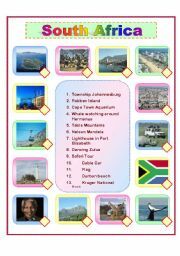 Have fun discovering South Africa. This is a gap text where you have to fill in adverb or adjective. Key included. 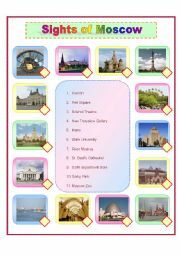 Explore the wonderful sights of this beautiful city. Thanx for the ESL template. The pictures are found on Google. Hope you like it. 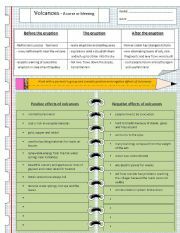 This is a cause and effect diagramme about earthquakes. Pupils discuss what could be done after an earthquake and add their ideas. Print out the copies and hang it on the wall in your classroom. Your pupils will always never the rule. Hope it´s useful. Print out this mindmap and let your students complete the wordbank. I use it when I introduce the topic "Growing up" as a form of brainstorming. Hope it´s useful. A mindmap to introduce and collect words about science and technology. 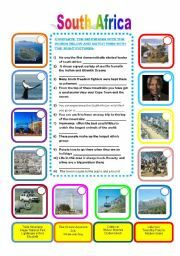 Before you start talking about South Africa prepare a mindmap. Collect words on the different topics and add the words from the list. Hope it´s useful.Happy 2011. You can print out a copy of this mindmap.Hand it out to your students when you like to introduce Australia to them.A good brainstorming task. Before you start talking about growing up and teenagers´ problems you can easily collect word on this topic by the help of the mindmap. Complete the mindmap before are going to talk about future. Collect words and phrases to revise the vocabulary. I use this worksheet to collect words which the pupils need to introduce themselves. Normally I do this with pupils who are knew at my school. Later they create a "that´s me " letter. Hope it´s useful.